It’s apple season and every year for the last many years, our local playschool has done an apple fundraiser selling 15 lb boxes of fresh apples from British Columbia. They are so delicious that this year I ordered THREE boxes. 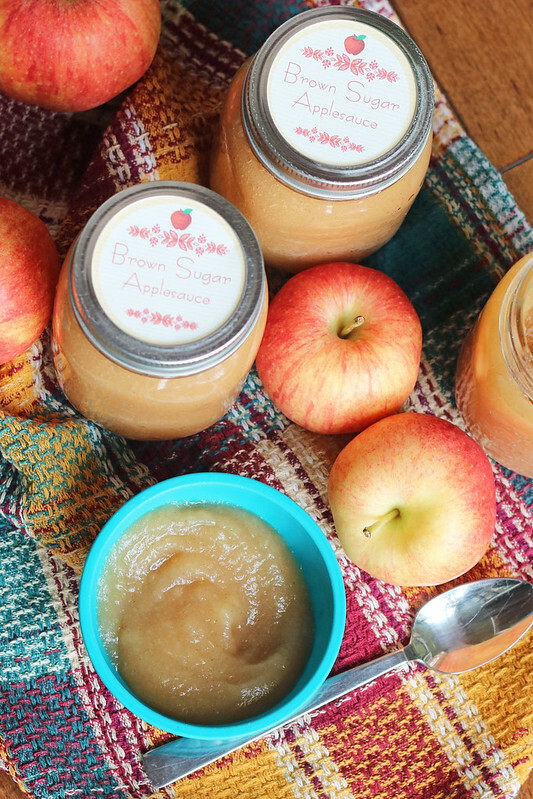 Lots to eat fresh, lots to bake with and more than enough to make this delicious brown sugar applesauce that Jay has been begging me to make. Peel and core your apples; I love to use the one my grandma handed down to me. 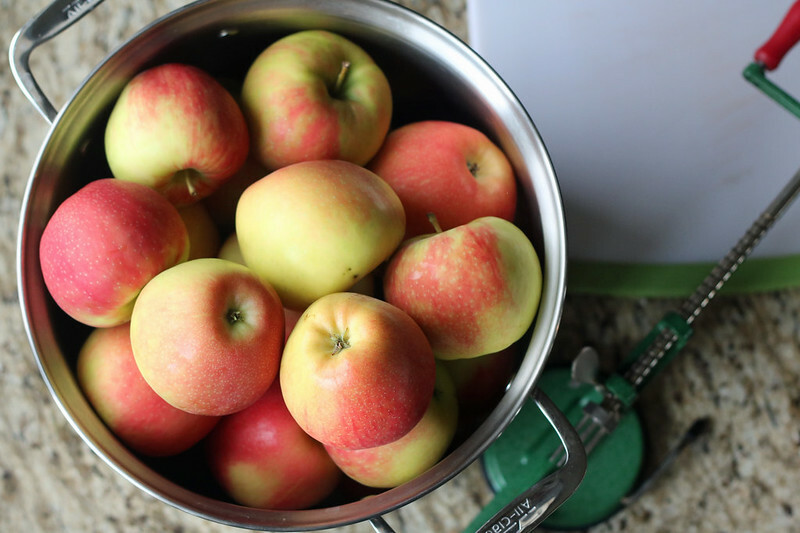 Chop up apples coarsely and add them to a very large, heavy-bottomed stock pot. If you do not have a large enough pot, divide into 2 heavy-bottomed pots. Pour in the water and bring to a boil over high heat. Once boiling, lower heat to medium and cook, covered and stir occasionally for 30 minutes, or until the apples are really broken down and tender. I like to use my immersion blender to smooth the sauce, it gives such a lovely texture, but a potato masher will do just fine unless you like a chunky style sauce. Stir in brown sugar and cinnamon to your taste. 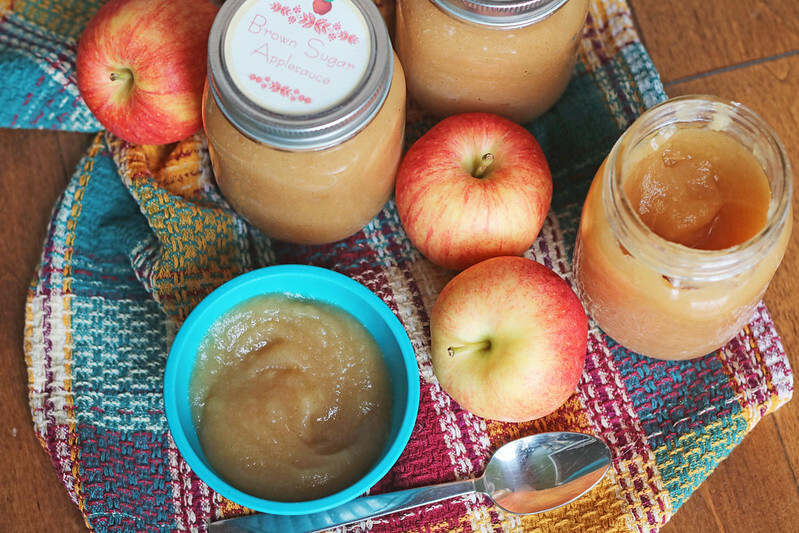 I’ll be honest—I love this applesauce tasting pretty much like my apple pie filling, it’s why my husband loves it so much. 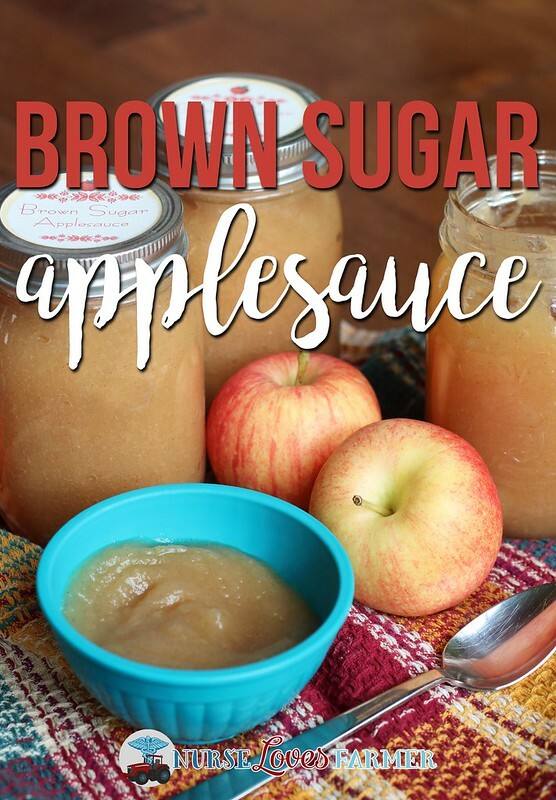 I use at least 1 cup of brown sugar, and more to taste, if the apples are more sour and tart. Judge me if you want, but this is a once a year treat and I like it sweet! Remember: you can add less sugar or none at all if that’s your jam. Ladle hot apple sauce into 8 clean, hot 500 ml (pint) mason jars leaving ½” head space. Process in boiling water bath canner for 15 minutes, making sure all the jars are covered in water. Remove from bath onto towel and wait to hear those satisfying “pops” ensuring that your jars are sealed. 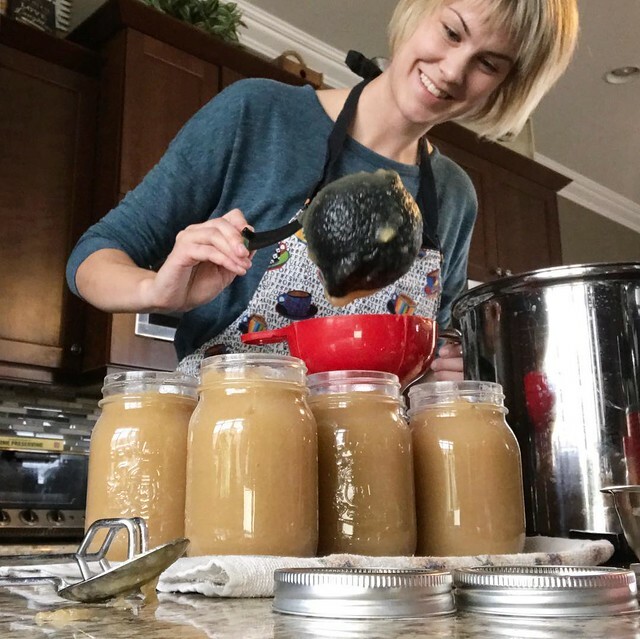 Note: if this is your first time canning anything, I like to refer you to this post explaining the whole process in an easy-to-understand way. Prepare water bath canner for 8 500 ml (pint) mason jars. Peel, core, and chop up apples coarsely. Add them to a very large, heavy-bottomed stock pot. If you do not have a large enough pot, divide into 2 heavy-bottomed pots. Pour in the water and bring to a boil over high heat. Once boiling, lower heat to medium and cook, covered and stir occasionally for 30 minutes, or until the apples are really broken down and tender. Use immersion blender or masher to smooth the sauce if you like, or leave for chunky style sauce. Stir in brown sugar and cinnamon; use less or add more to your taste. 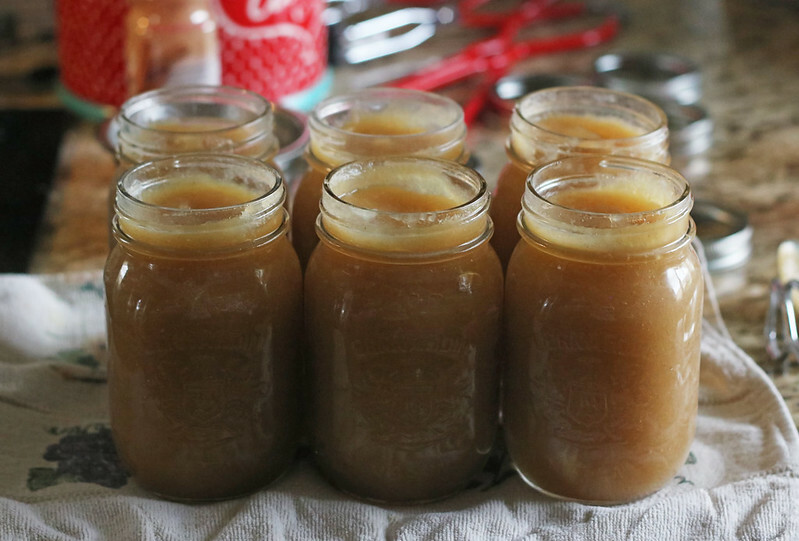 Ladle hot apple sauce into 8 clean, hot 500 ml (pint) mason jars leaving ½" head space. Wipe rims of jars clean, place lids on and screw on rings to finger-tip tight. Process in boiling water bath canner for 15 minutes, making sure all the jars are covered in water. Remove jars from bath onto towel and wait to hear those satisfying "pops" ensuring that your jars are sealed. 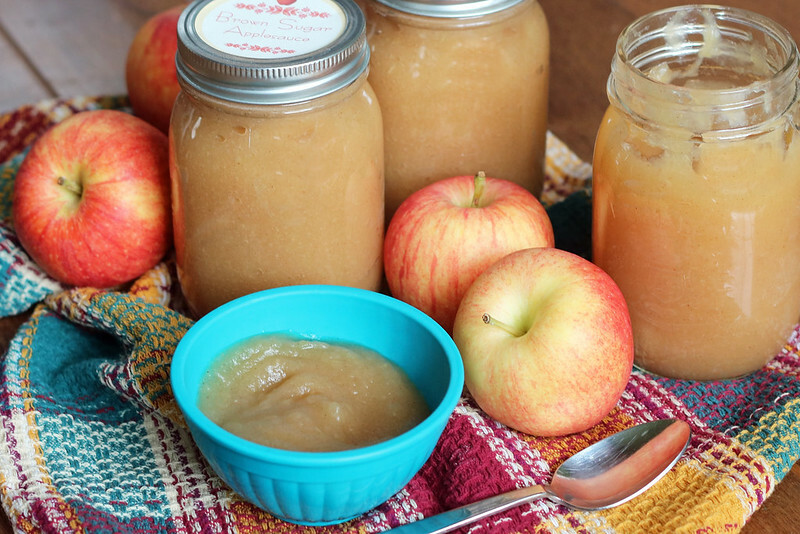 Some of the best apples for applesauce include Braeburn, McIntosh, Fuji, Spartan and Gala. Note: This recipe was adapted from The Canning Kitchen. This year I had honey crisp apples that were disappointingly tart, so I decided to make them into a sauce to sweeten them up. They are on the “best for saucing” apples list, but quite a ways down and I can see why. I used Galas last time and they were MUCH better, so I’d highly recommend to use an apple variety on the top of a saucing list. Last time I also used apples that were past their best-eaten-fresh “date” and it was the most amazing applesauce ever. We love this sauce straight out of the jar, with pork chops and it works awesome with baking like these applesauce oatmeal muffins and a good replacer or topper-upper if you’re short some bananas for any bananas used in baking like for banana muffins. Yum! I love how simple your recipe is.